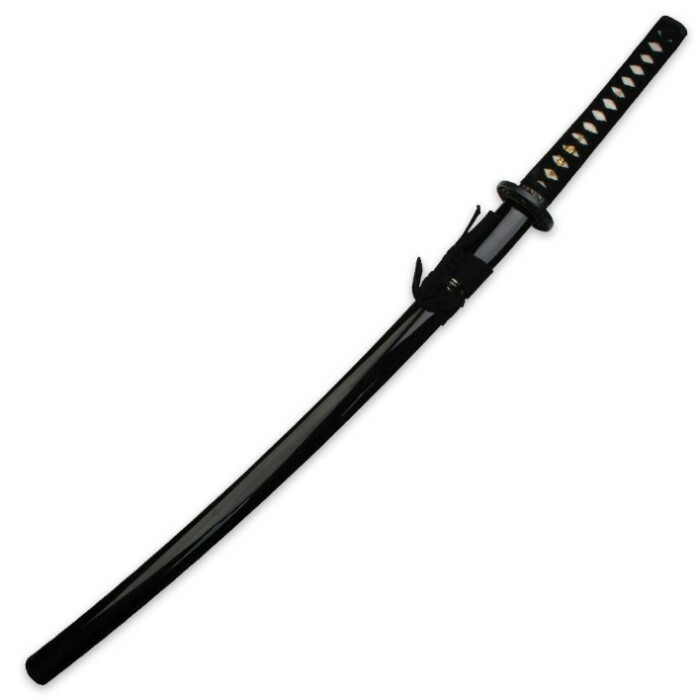 Expertly crafted with exceptional attention to detail, this Ten Ryu Japanese Katana sword features a hefty 26.5” blade of 1045 carbon steel that has been hand forged using an artisan clay tempering technique. This traditional design offers a heavy blood groove spanning the massive blade and a hand-sharpened edge that will slice with ninja precision. 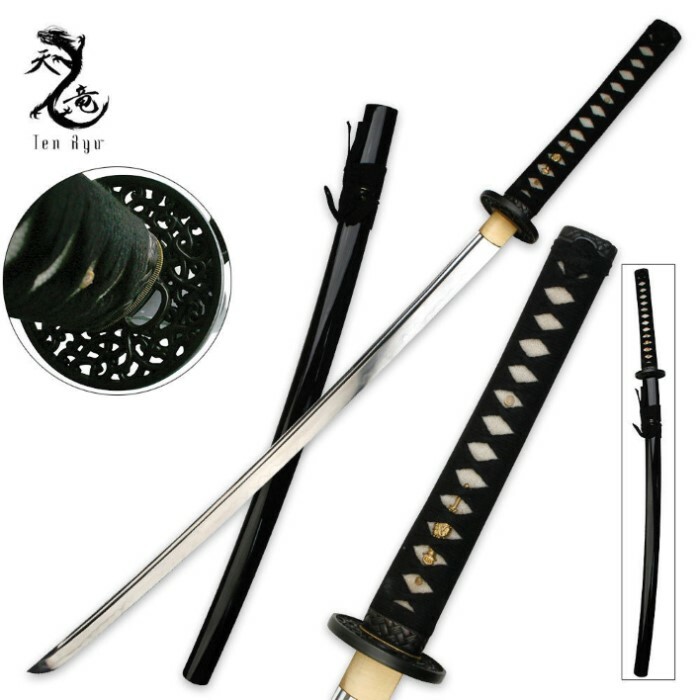 Ornate details such as the cast iron chrysanthemum tsuba, solid brass habaki and genuine ray skin tsuka (handle) make this fully functional collectible katana sword a prized showpiece among collectors. The hardwood scabbard has a high-gloss black lacquer finish with coordinating cord accents. It comes to you with a sword bag and cleaning kit to keep this treasure in pristine condition.